Jamie and I enjoyed showing off our new book in Tucson, AZ. It as fun to watch people flip through it and get excited and inspired to use colored beading wire in a new and unusual way. 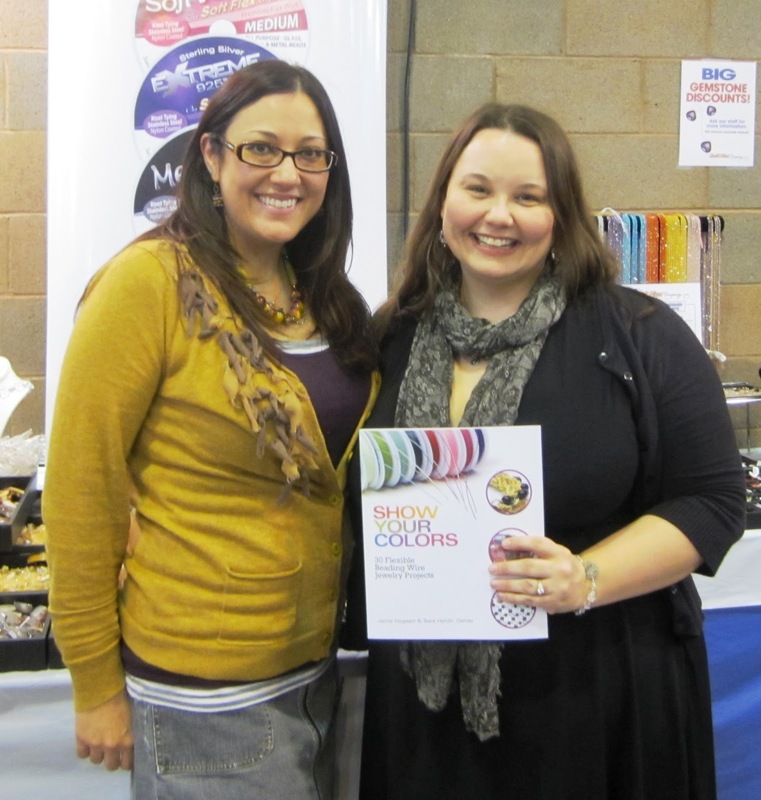 The book includes information on everything you’d ever need or want to know about beading wire as well as techniques such as crimping the wire into shapes and knitting with beading wire on a knitting spool. You can purchase a signed copy from Soft Flex Company.